When I was a kid, growing up on a farm in Colorado, my mom would wake me up in the morning, saying, “Wake up, my little Chickadee!” Somehow, it made the morning seem a little less morning-y. 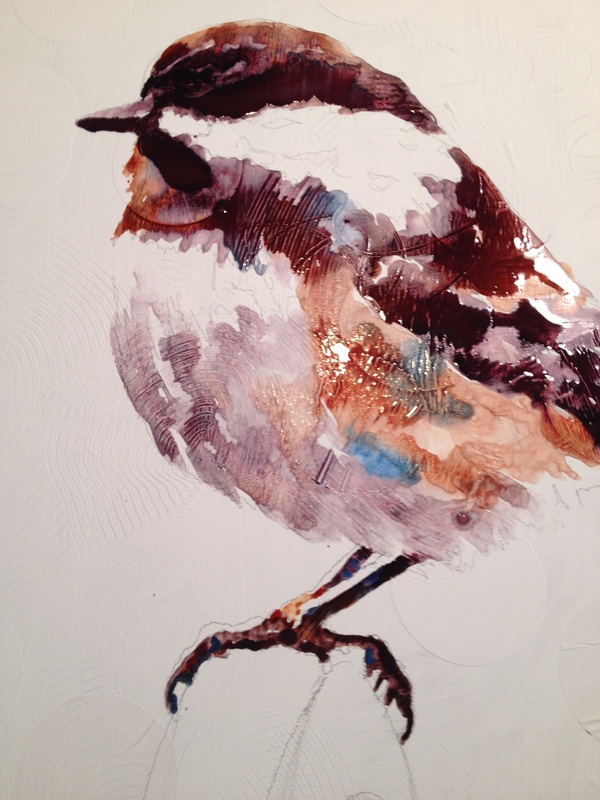 So for Mother’s day, how about a chickadee painting? My brother takes amazing photos of pretty much anything. He understands the terms F-stop and shutter speed, and somehow uses all those little adjustments and funny protruding knobs to produce photos that say what I would like photos to say but never do. My photos look like a kid with a 110 camera…remember those? So when I asked for a chickadee photo, he came through in spades…or birds, I guess. The above drawing is referenced from his photo. Thanks, Brosky. 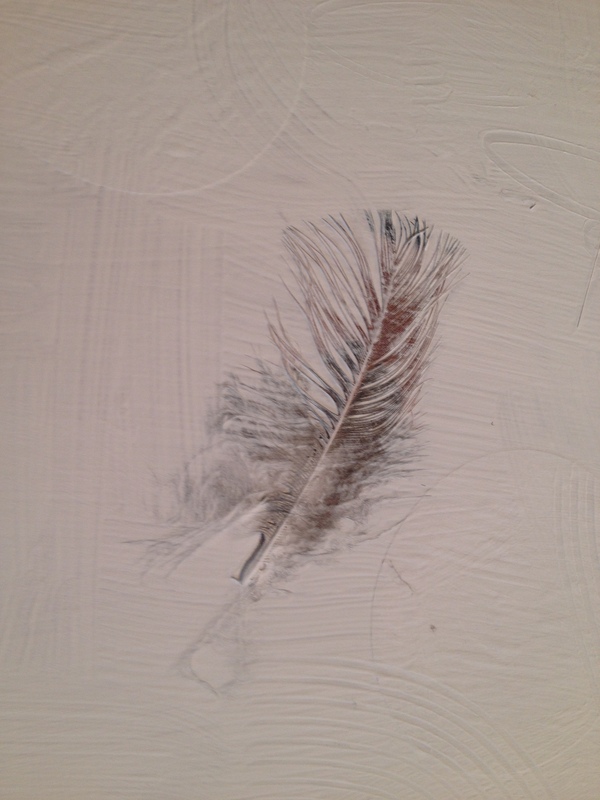 Then, while I planned out my painting, I thought, why not put feathers in the canvas? Why not, indeed? Yep. 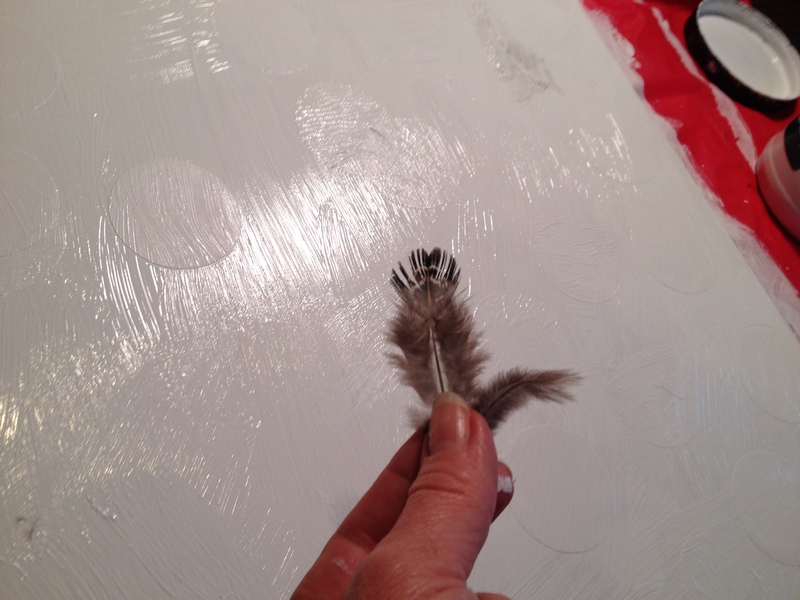 Feathers, three of ’em, adhered with gesso to the plexiglass. Because I’m working full-time this week, I decided to work small. 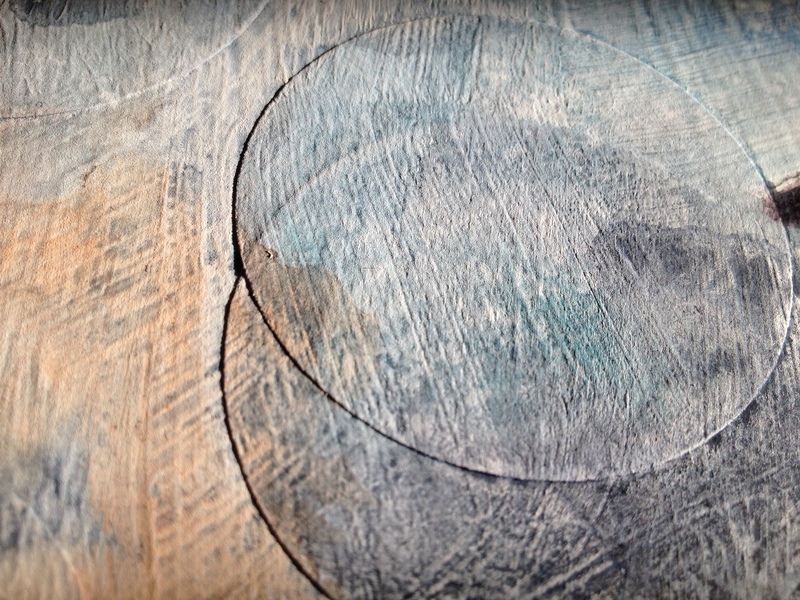 This is a 16×20, about half the size of my usual paintings. Next, I had a coupon for Michaels, you know the 40% off any one item? 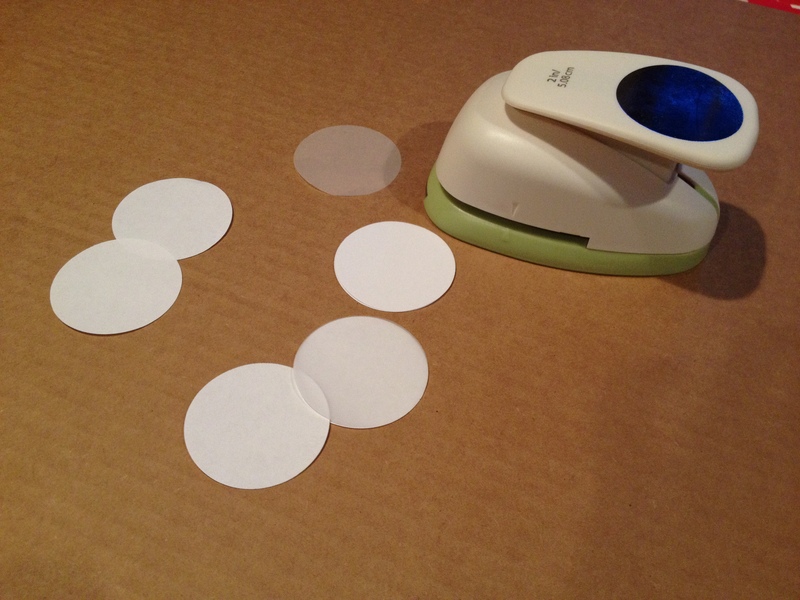 I purchased the coolest die-cut thingy~! I love it! 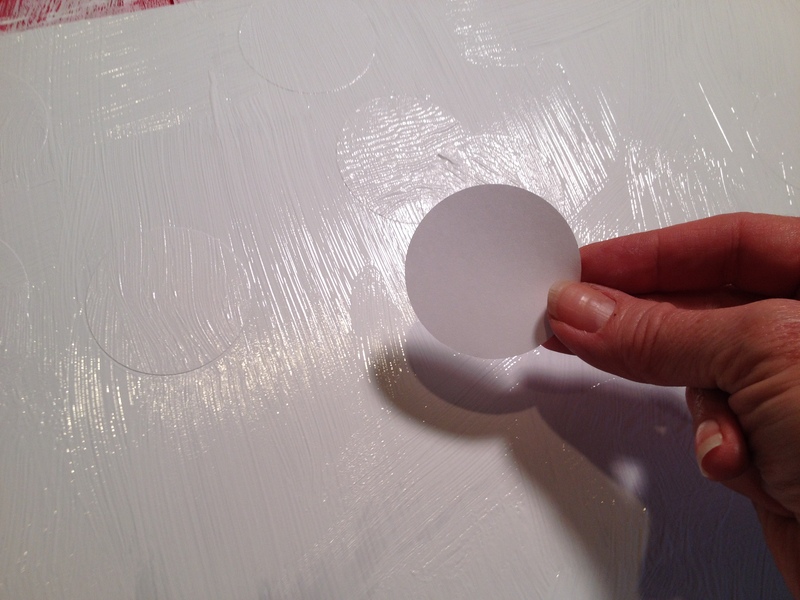 I went punch-crazy with 2″ circles and added them to my painting. 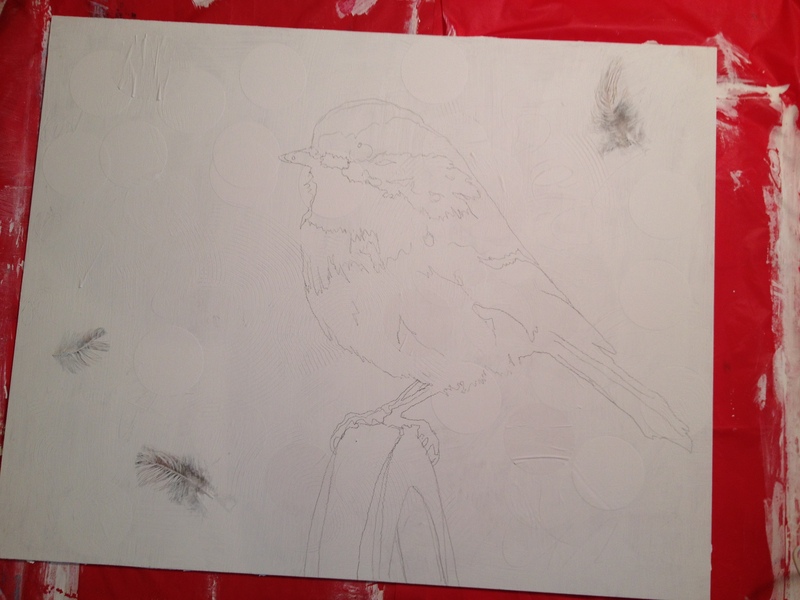 I finished the bird, then started on the background. 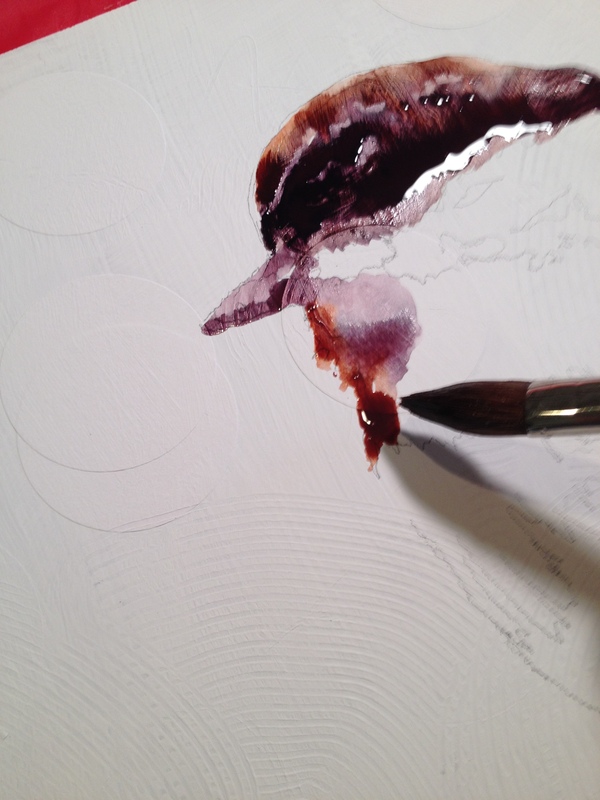 The background needed to stay very neutral and cool, in order to recede away from the bird. I debated on whether or not to add a building/vertical or horizontal structure behind the bird, but in the end, decided simple was best. 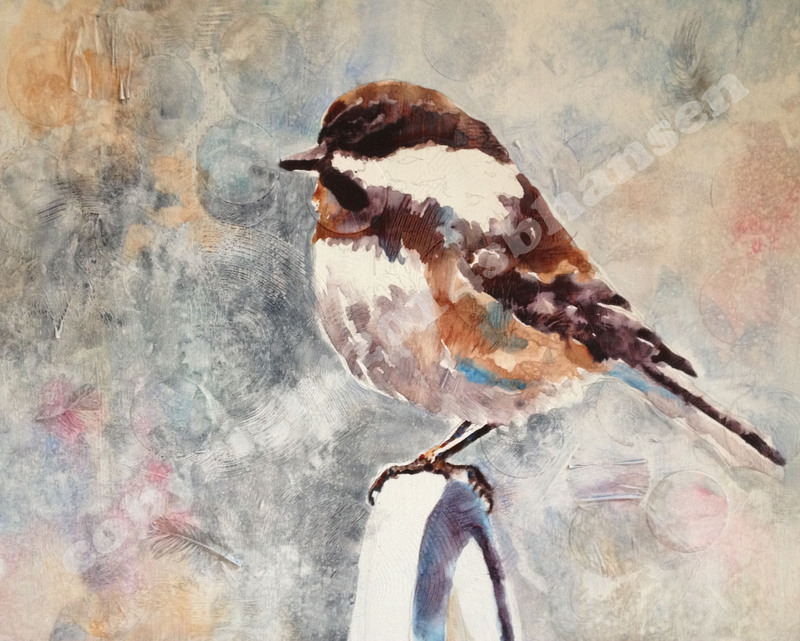 Chickadee Mom, 16×20, watercolor on Plexiglass. $500 unframed. Here’s to you, Mom. Happy Mother’s Day! 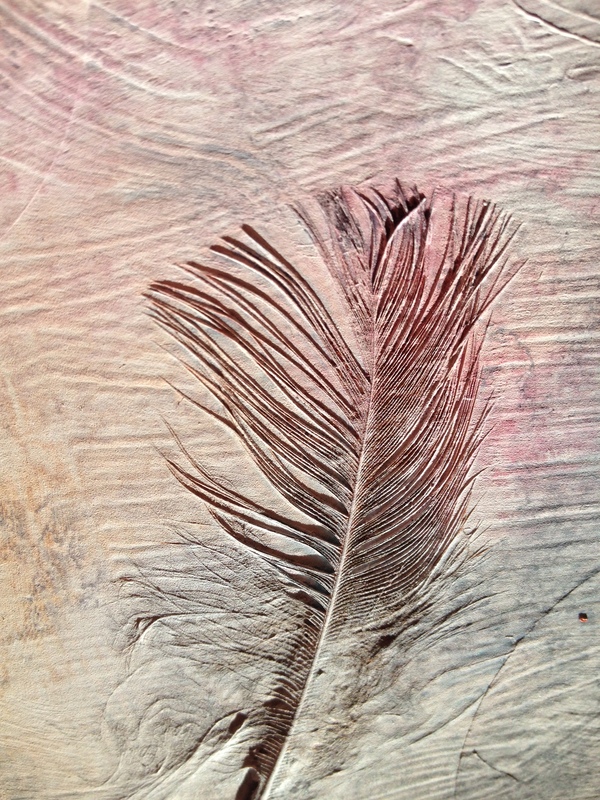 Follow me on FB to get notices on special deals or ask me about owning a painting. See you all soon. Keep creating to feed that beast! beautiful drawing and very nice articulation indeed.